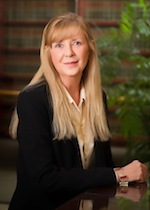 Nan Corber has been a paralegal with Binder & Malter LLP since its inception. With over 35 years of bankruptcy experience, Ms. Corber has considerable knowledge and experience representing businesses and individual debtors in all types of bankruptcy cases and in bankruptcy litigation. Ms. Corber’s interests include movies, arts and crafts and gardening.